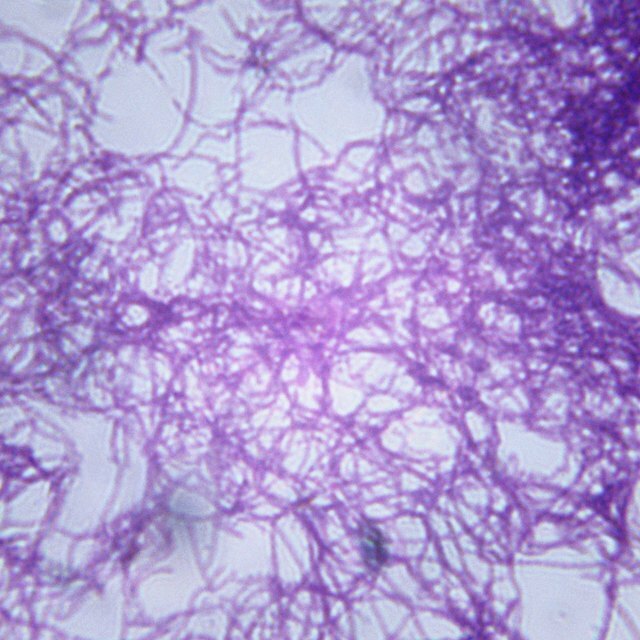 Bacteria are tiny microorganisms classified as neither plant nor animal. They are single-celled and usually a few micrometers in length. The Earth contains approximately 5 nonillion bacteria, which make up much of the planet's biomass. Bacteria exist in almost any environment except those humans sterilize. Thermophiles, or thermophilic bacteria, are a type of extreme bacteria (extremophiles) that thrive in temperatures above 131 degrees Fahrenheit (55 Celsius). Thermophilic bacteria thrive in some of the hottest places on earth (above 131 degrees Fahrenheit), including hydrothermal vents in the ocean and hot springs. Some notable thermophiles include Pyrolobus fumari, Strain 121, Chloroflexus aurantiacus, Thermus aquaticus and Thermus thermophilus. Considered the toughest of the tough, scientists discovered Pyrolobus fumari inside a single hydrothermal vent in the Atlantic Ocean, 3,650 meters below the surface in temperatures up to 235 degrees Fahrenheit (113 Celsius). Soon after, another hydrothermal vent located in the Pacific Ocean showed signs of bacterial life that tolerated even higher temperatures. Scientists named it "Strain 21" because it survived 10 hours in an autoclave at 250 degrees Fahrenheit (121 Celsius). In a laboratory environment, Chloroflexus aurantiacus thrives in temperatures that range between 122 and 140 degrees Fahrenheit (50 and 60 Celsius). This extremophilic bacteria lives at higher temperatures than any other organism that uses photosynthesis but does not produce oxygen (anoxygenic phototroph). This heat-loving bacteria has traits similar to green sulfur bacteria and purple bacteria. Because of these characteristics, researchers hope that C. aurantiacus will shed light on the evolution of photosynthesis. Thermus aquaticus thrives at an optimal temperature of 176 degrees Fahrenheit (80 Celsius). Scientists originally discovered T. aquaticus in hot springs in Yellowstone National Park and California but later found it in other hot springs around the world and even in hot tap water. Its most notable role has been as a key player in genetic research, genetic engineering and biotechnology. In the 1980s, with the discovery of polymerase chain reaction (PCR), researchers began to create copies of specific segments of DNA from very tiny samples. Because this method involves melting apart the two strands of each double-stranded DNA molecule at high temperatures, it requires DNA that is not destroyed by high temperatures-- like the DNA of T. aquaticus. Thermus thermophilus is another hyperthermophile that shows promise in the biotechnical field. Found in a Japanese hot spring, this bacterium thrives in temperatures between 149 and 161 degrees Fahrenheit (65 and 72 Celsius) and can withstand temperatures up to 185 degrees Fahrenheit (85 Celsius). T. thermophilus shares many genes with another extremophilic bacteria, Deinococcus radiodurans, which is highly resistant to radiation but not quite as capable of withstanding extreme heat. Medical News Today: What Is Bacteria? What Are Bacteria? Peck, Andrea. "Examples of Heat-Resistant Bacteria." Sciencing, https://sciencing.com/examples-heatresistant-bacteria-20175.html. 14 May 2018.